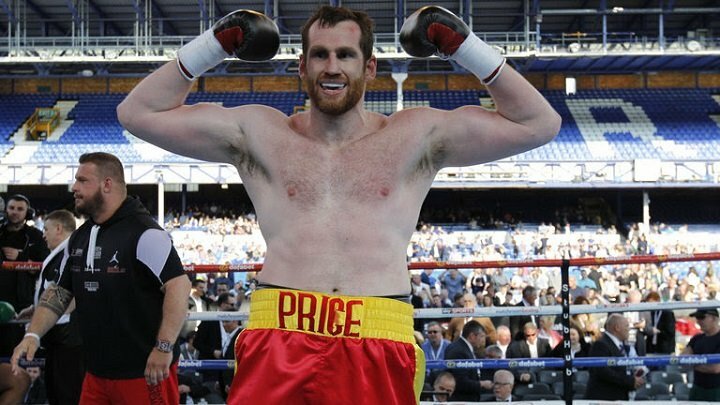 David Price has admitted that he needs to “destroy” undefeated Brummie Kash Ali at The M&S Bank Arena Liverpool on Saturday if he wants to keep his name relevant in the Heavyweight division. The former British and Commonwealth Champion fights in is home city for the first time in nearly three years this weekend, live on Sky Sports in the UK and DAZN in the US, determined to prove he can still mix it at the top level as he aims to make a fresh title charge in 2019. He is all too aware of the dangerous threat posed by 15-0 Ali, a hard-hitting former sparring partner who he has shared numerous rounds with, but says nothing less than convincing knockout win will suffice. “I think I need to make a bit of a statement,” said Price. “With the Tom Little fight being stopped the way it did, I need to show people that I’m still a force to be reckoned with. If I want to keep my name out there I’ve to be destroying Kash Ali, and that’s exactly what I’m expecting to do. I’m looking to get rid of him in style to show everyone that I mean business. “Kash Ali has stepped up to the plate to put his undefeated record on the line against me and I respect that. We sparred a lot of rounds at Dave Coldwell’s gym so I know what he’s all about. He’s young and hungry and he’s a very dangerous fighter. This is the kind of opponent that I needed, someone to get me up for a fight. “We know each other and he’s alright. I’ve got nothing against him. He’s standing in the way of bigger things for me and I’m going to get in there and do a job on him, it’s as simple as that. He’ll be coming for my scalp, but I’ve got big plans for 2019 and he won’t be stopping them. “I don’t feel like there’s any pressure on me. In a lot of peoples eyes, I’m shot, I’m this and I’m that. I’m just enjoying not having any pressure on me and I can’t wait to get another win in front of my home fans, it’s been a while. Price vs. Ali is part of a huge night of action in Liverpool.